OnePlus 6 is confirmed to come with 50% more RAM capacity and double the storage compared to its predecessor OnePlus 5T. Read to know when the Android flagship will be released. OnePlus co-founder Carl Pei revealed that the upcoming OnePlus 6 will have Apple iPhone X-like notch, earlier in the week and now, the company CEO Pete Lau announced few more important features of the OnePlus 5T successor. "With each product, we look to answer a single question: "How do we create the best possible user experience?" To do so, we have to find out what our users care about most. By brainstorming the relationship between people and smartphones, analyzing industry trends, and discussions with members of the OnePlus community from around the world, we have learned that what users want most is a flexible, light and quick experience. At OnePlus, we're committed to achieving a truly "burdenless" experience," Pete Lau, CEO, OnePlus, said in a statement. Lau officially confirmed OnePlus 6 will be powered by the latest Snapdragon 845 octa-core, Qualcomm's fastest and most powerful CPU to date. And, it will be backed by sumptuous 8GB RAM and a whopping 256GB memory, double that of the current storage capacity in the current flagship OnePlus 5T (128GB). But, we are certain that OnePlus 6 will also be offered in 128GB and also possibly in 64GB option with 6GB RAM so that consumer have the options in the different price range. The company's R&D has a special team called Team FSE (Fast, Stable, Efficient). Their focus is solely on maximizing the power of their flagship devices. 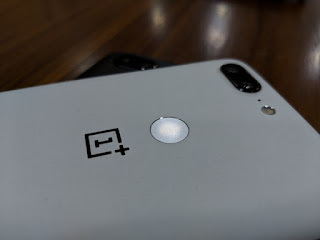 With such top-notch configuration, OnePlus 6 has impressed them with its performance despite under heavy usage for a whole day. Rest assured, the upcoming device will handle any demanding tasks such as shooting 4K video, play graphics-intensive multiplayer game PUBG or any other functions seamlessly without any lags. As far as the launch date is concerned, the company has revealed that the OnePlus 6 will be announced in the second quarter, most probably around April-end or early May. The upcoming OnePlus 6 is said to sport a 6.2-inch full HD+ (2160x1080p) screen having 19:9 aspect ratio and is confirmed to boast Apple iPhone X[review]-like notch on top of the display, which will house 20MP front-camera with face unlock capability. On the back, it is said to come with 16MP+20MP dual-camera on the back with F1.7 aperture and fingerprint sensor. Rumor has it that OnePlus 6 may come with wireless charging capability, which was sorely missed in the OnePlus 5 series. Under-the-hood, it will house a 6GB/8GB RAM, 64GB/128GB/256GB storage, Android Oreo-based OxygenOS 5.1 and 3,450mAh battery with Dash charge (with up to 50% quick charging in 30 minutes) capability. As far as the price is concerned, OnePlus 6 will be offered in three storage options—64GB, 128GB and 256GB—for ¥3,299 (approx. $525/€426/Rs 34,132), ¥3,799 (approx. $604/€491/Rs 39,305) and ¥4,399 (approx. $700/€569/Rs 45,510), respectively. In a related development, OnePlus India teased a video with Avengers: Infinity War movie trailer hinting, OnePlus 6 Avengers edition is under works.